Service delivery or the lack thereof is what truly sets a business apart. Whether it be a restaurant, a retail outlet or any service related industry - the service customers receive is what dictates whether they will return to the establishment or not. At ASESA we believe that the service the staff render to the company forms an integral part of the final service rendered to a customer. Our programme is therefore aimed at giving employees the opportunity of alerting management to poor service within the workforce before it affects the customers. By the same token it also provides employees with the means to report poor management and systems to senior levels within the business. A company subscribing to the ASESA Employee Service Excellence concept would give employees a toll free line to which they can report matters of concern. Victimisation and intimidation are very real threats to individuals who speak out against their fellow employees and in order to protect the callers, they are given the option to remain anonymous. All calls are given a reference number and this number is used to protect a caller’s identity in all correspondence. The company designates one person at senior management level to deal with all information received via the toll free number. All calls are fielded by operators who are trained to gather as much information as possible from each caller. This information is passed on to the company to be dealt with at the discretion of management. ASESA acts as an independent and unbiased link between employees and the company. We believe the information belongs to the client, who is best placed to decide, by virtue of the merits of the information, if outside investigation is required or if internal measures are adequate to resolve the issues reported. For ASESA the aim is to provide the client with useful management information. Should any further action be required we can assist in providing referrals to suitable investigators, but for reasons of independence we prefer not become directly involved. 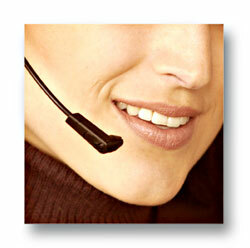 Most retail companies have their own customer service lines. The ASESA line is meant to gather information outside of that realm, such as maladministration, careless operation causing unnecessary shrinkage, poor time management and dishonesty in the work place. What can be done to prevent such poor service from harming a business? It is acknowledged that feedback from customers, suppliers and staff is the most potent and reliable source of information available. This applies equally to any business venture and is not limited to any one industry.